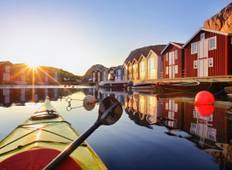 Find a Self-Guided trip that explores Sweden. There are 10 tours to choose from, that range in length from 4 days up to 8 days. The most popular month for these tours is June, which has the most tour departures. 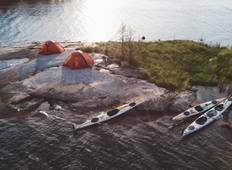 "Truly awesome, wild adventure into the spectacularly beautiful Swedish archipelago...."
"This experience is really worth it all. We planned the trip in the last minute and..."
"This was a perfectly organised trip. All I needed to bring was myself and a few clothes..."